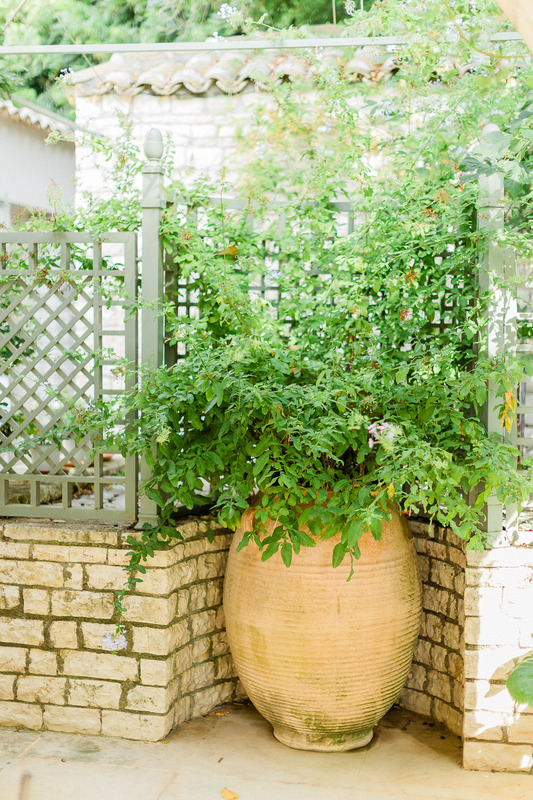 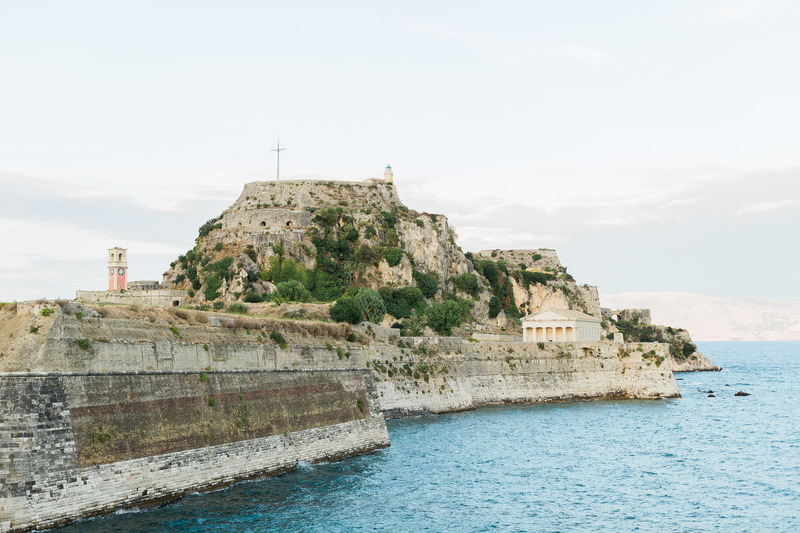 Undoubtedly, glancing at Corfu’s endless Mediterranean waters, it’s time-sculpted stony forts and royal palaces adorned with fragrant, lush gardens, one can simply be left starry eyed. 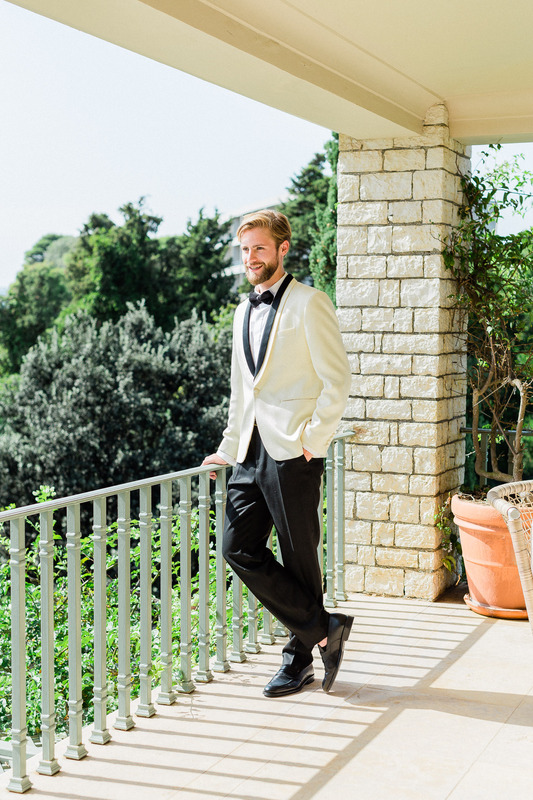 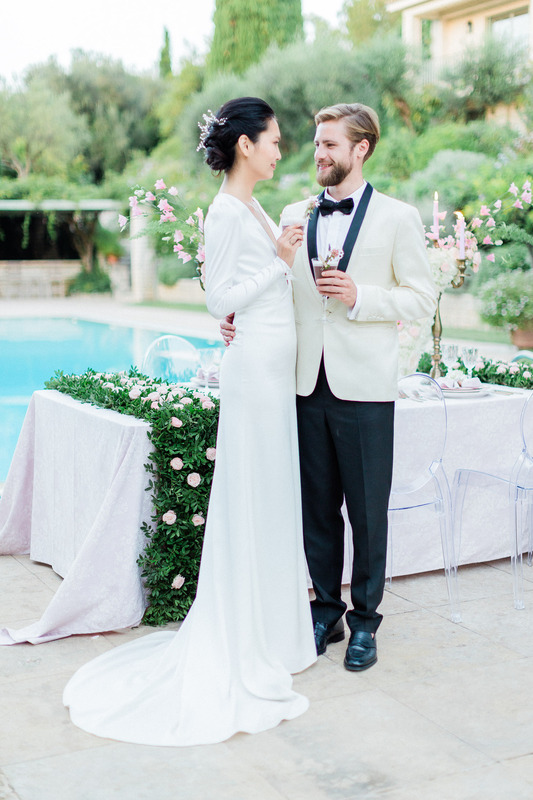 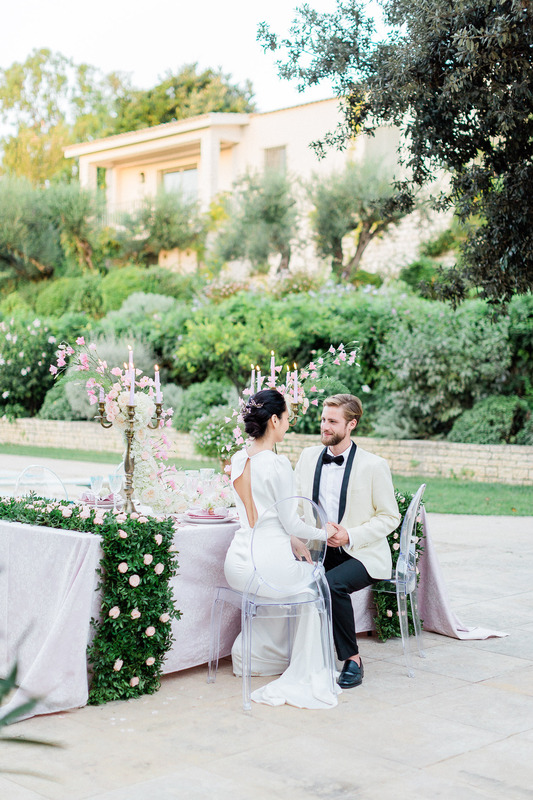 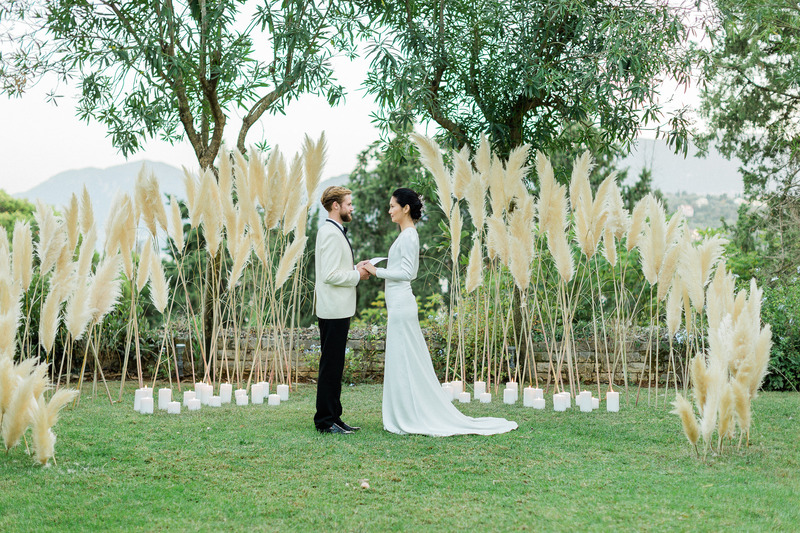 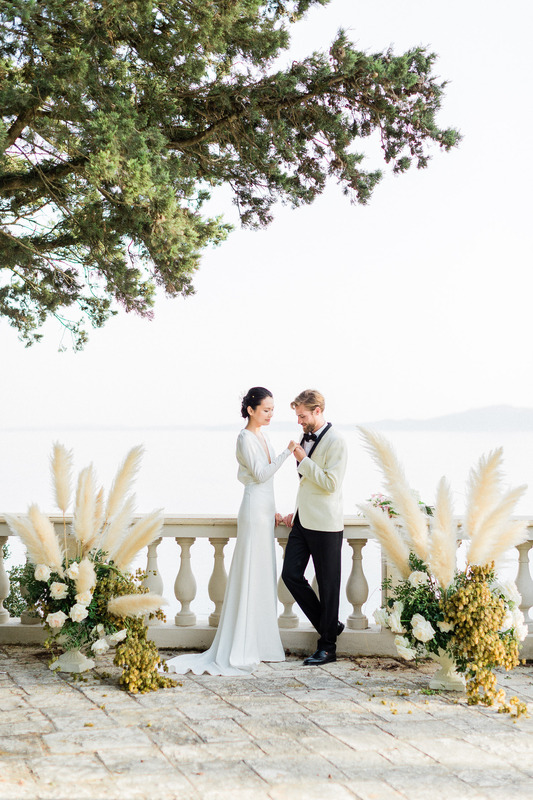 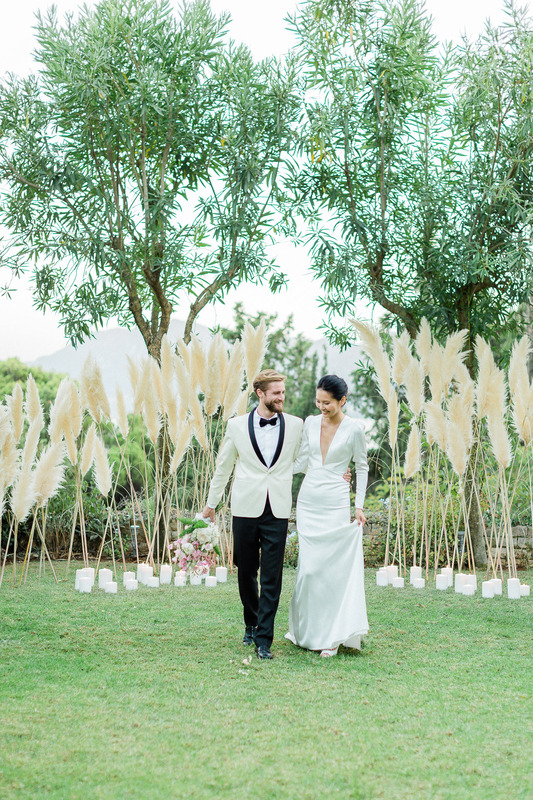 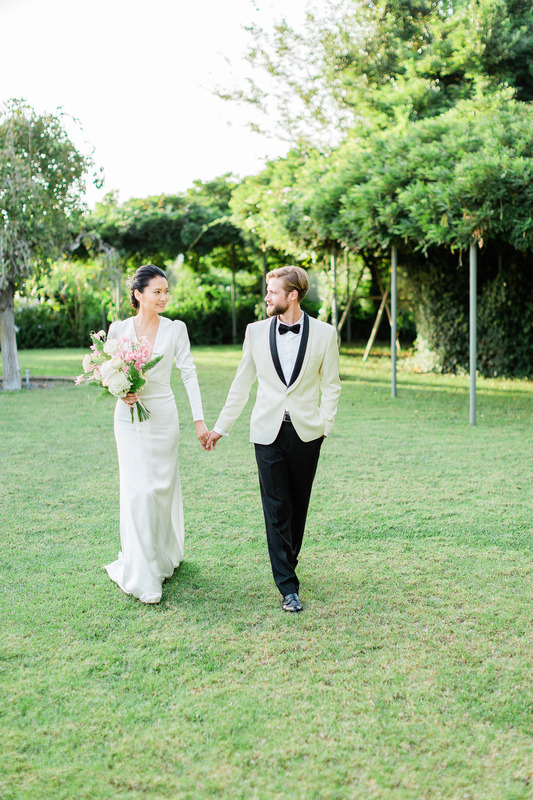 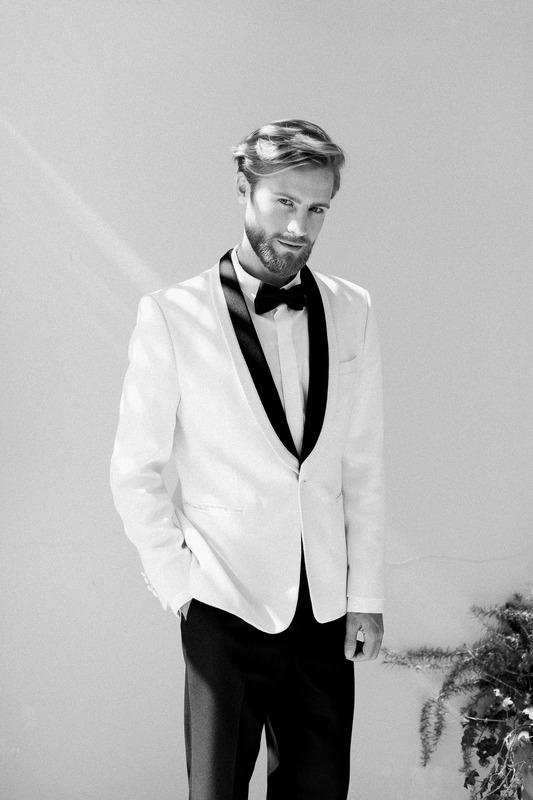 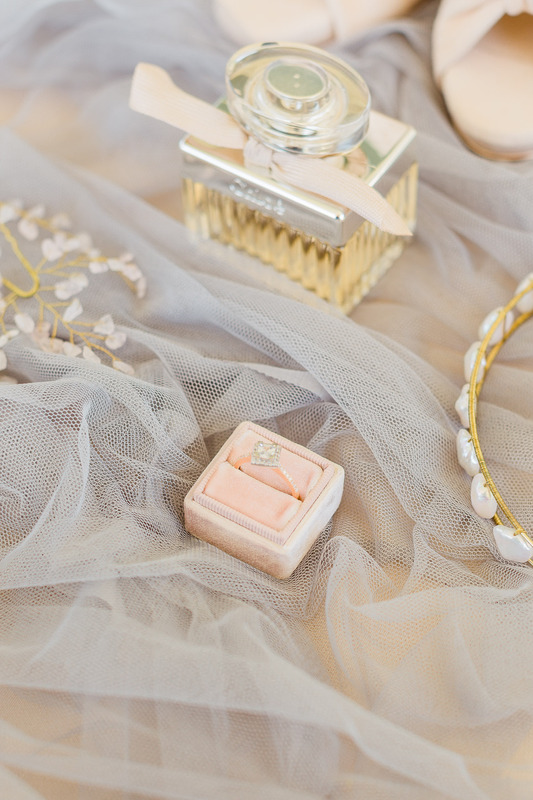 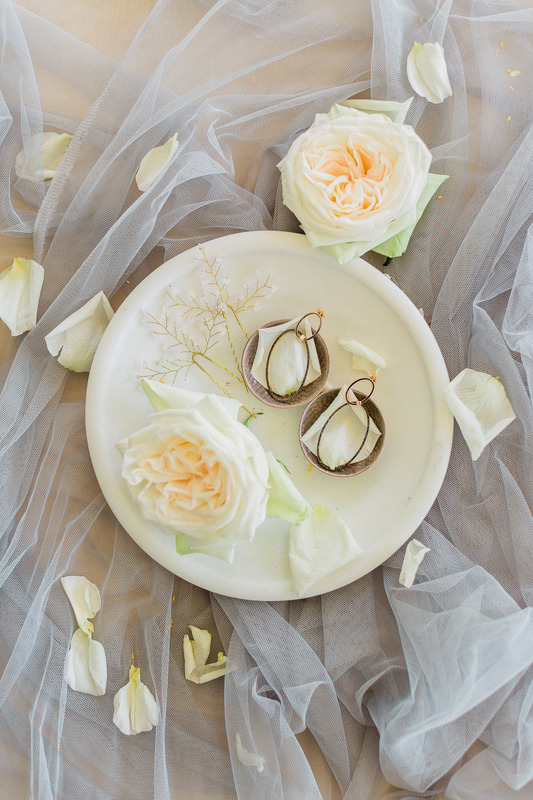 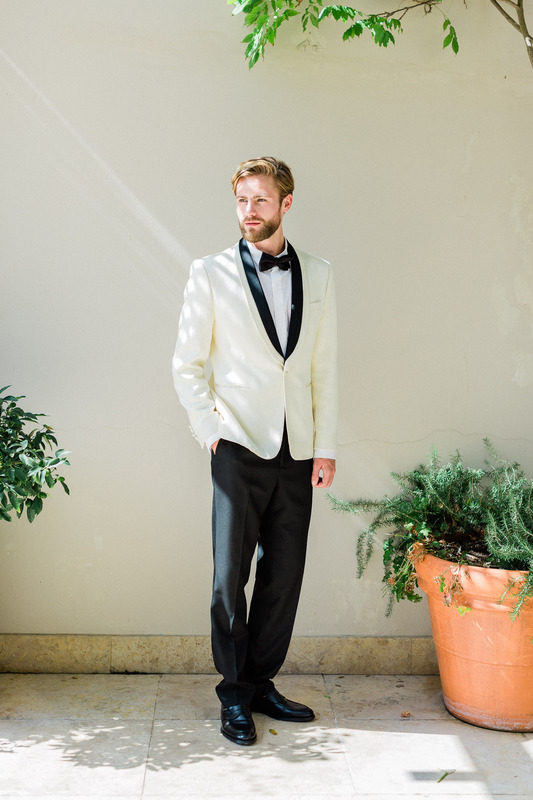 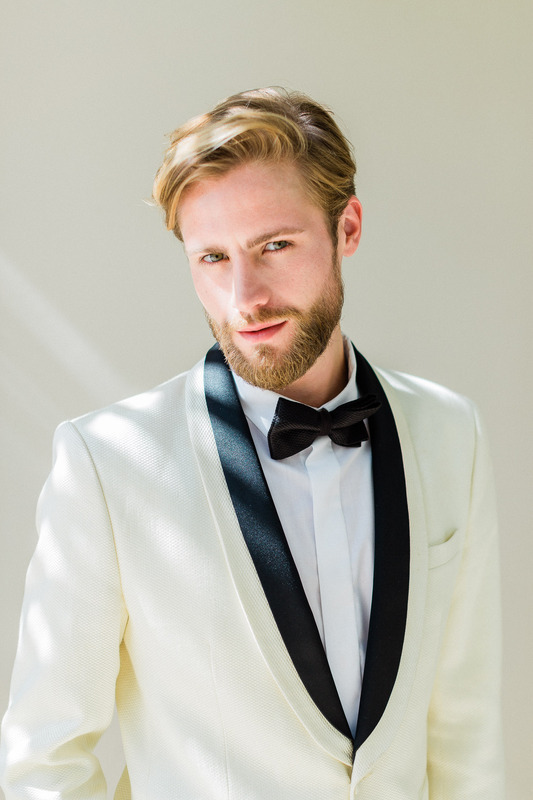 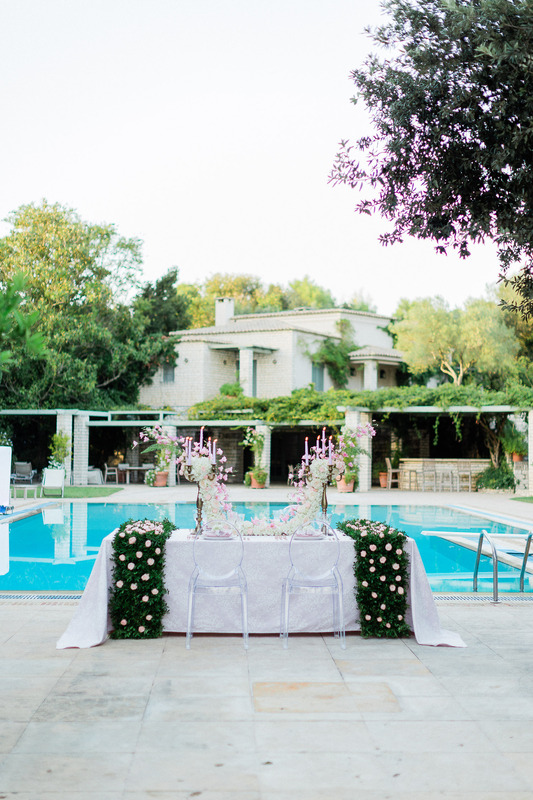 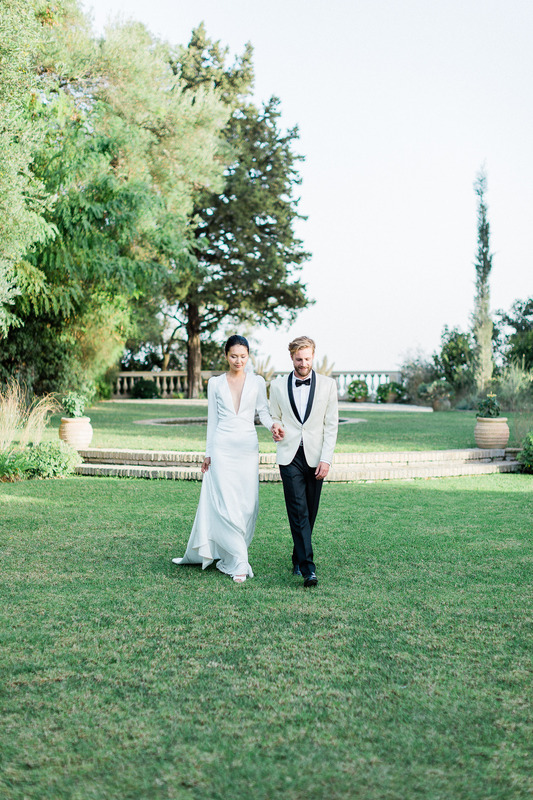 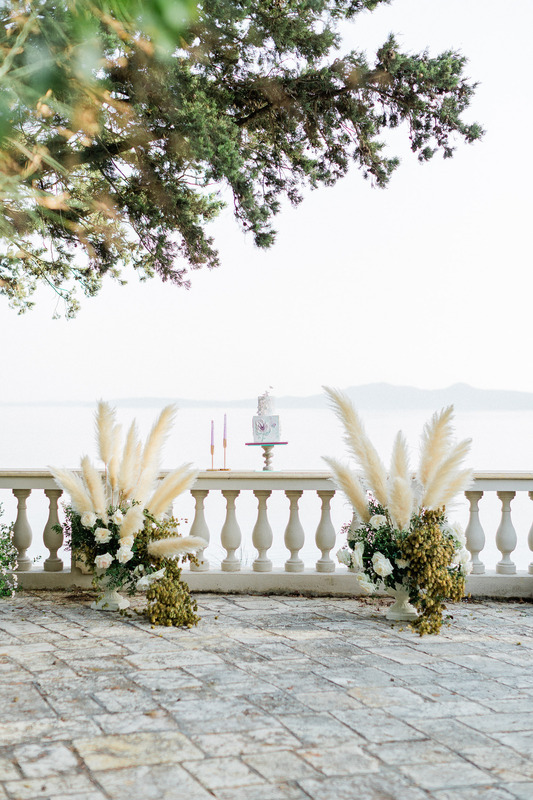 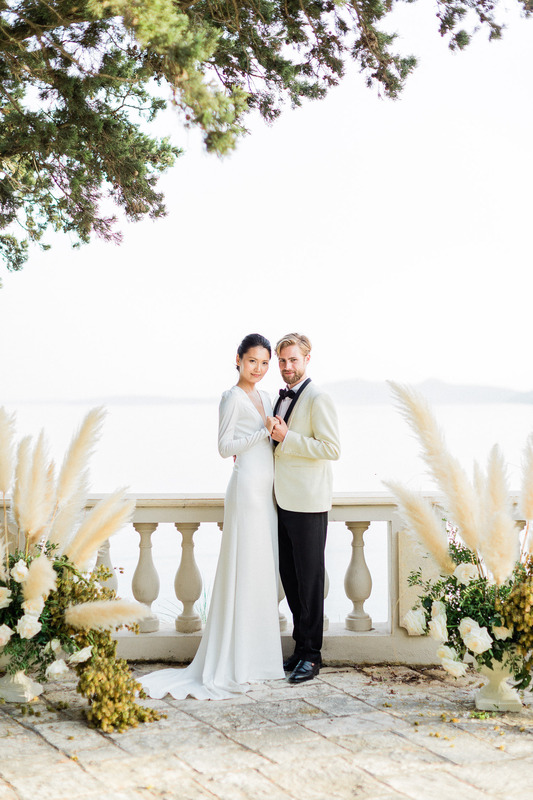 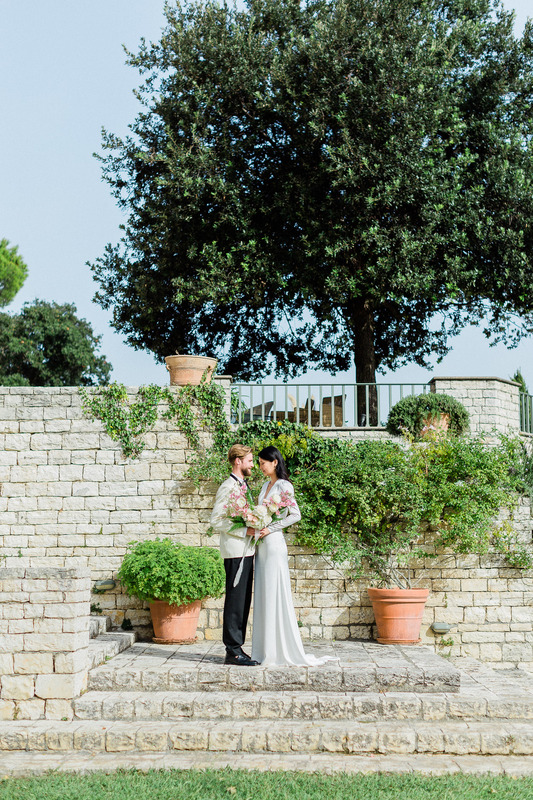 Villa Sylva, a recent addition to the island’s jewellery box of elegant wedding venues, happens to be where the 007 “For your eyes only” movie was filmed, and also, this wedding editorial’s location. 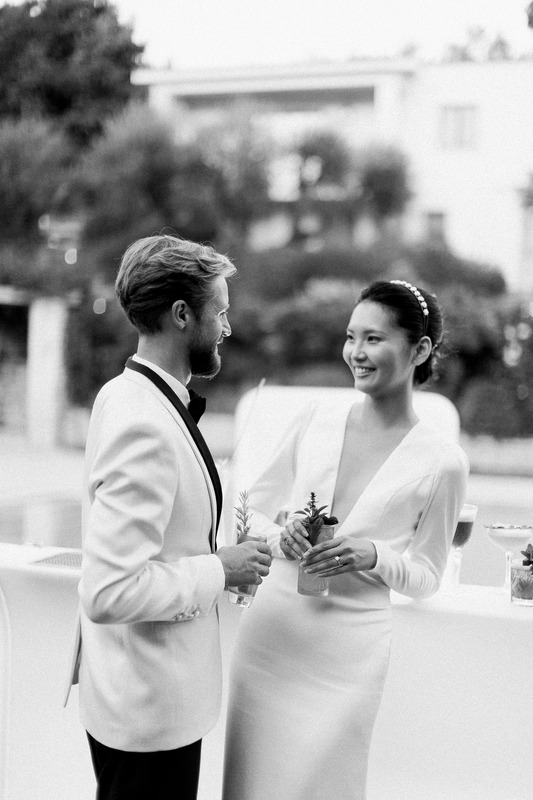 It’d hard not to fall in love with its unspoken promise to captivate someone even just through photographs. 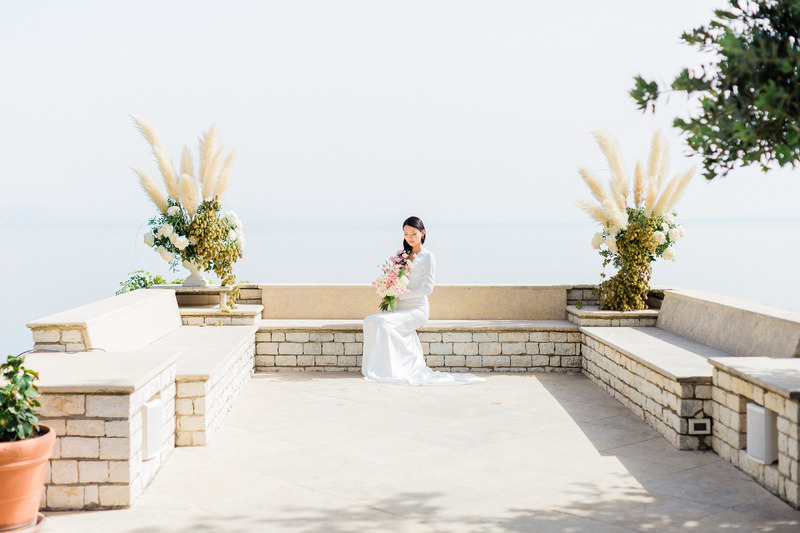 Ever-changing skies, majestic staircases, balconies that can take your breath away at the blink of an eye, they all are embellishments on the timeless beauty of this venue. 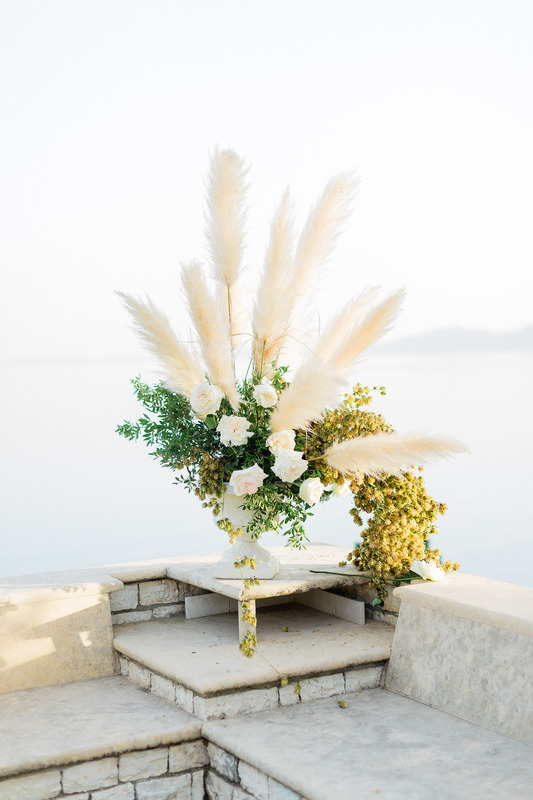 The gifted florist Leonidas Rammos and Belli Momenti, our splendid planner, came together and composed an evidently delightful reception table. 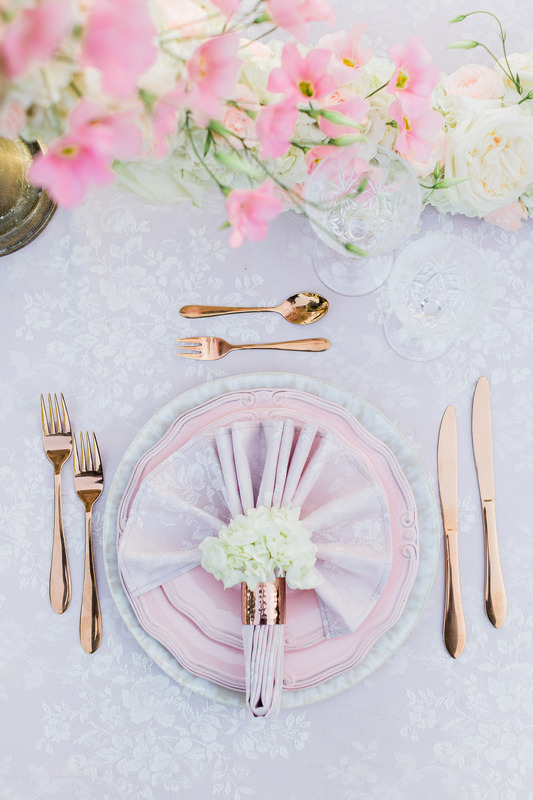 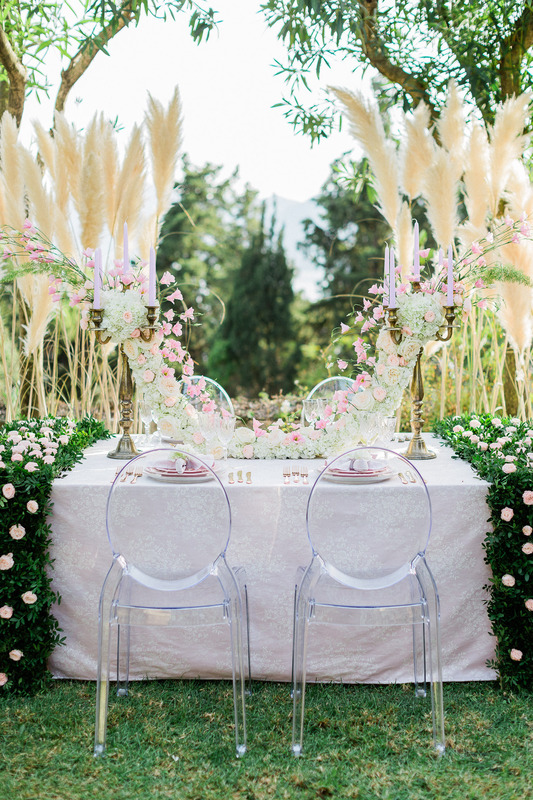 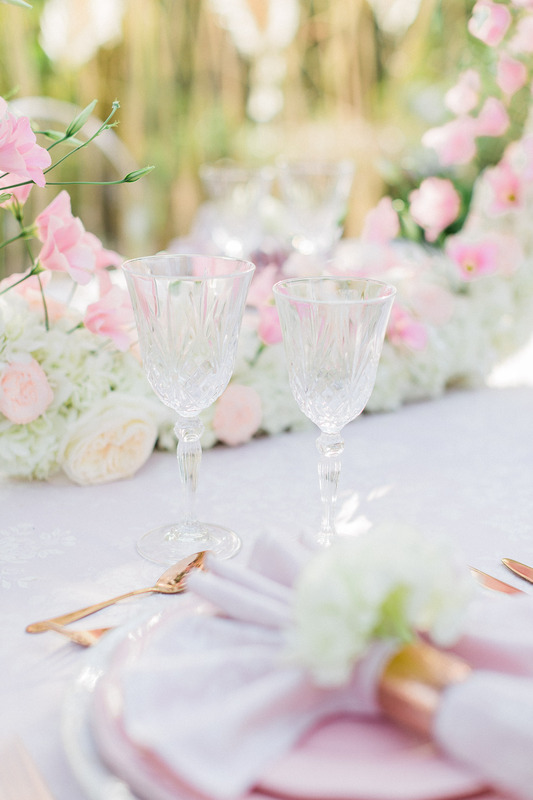 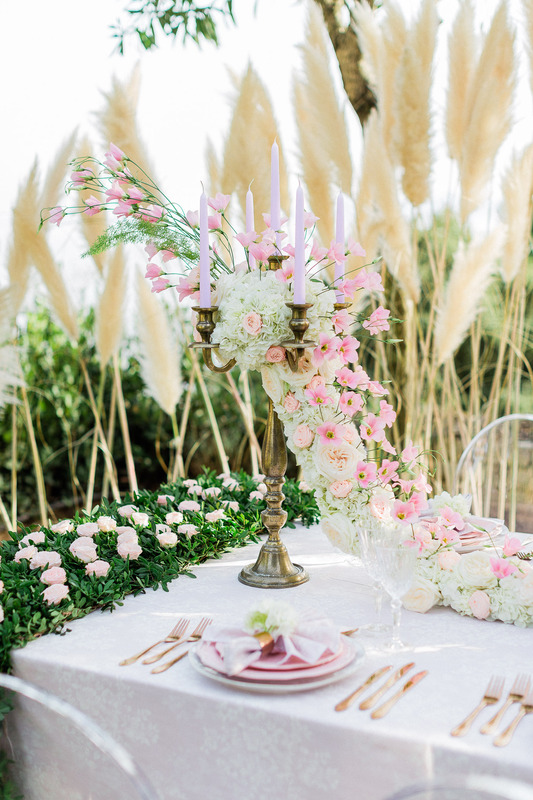 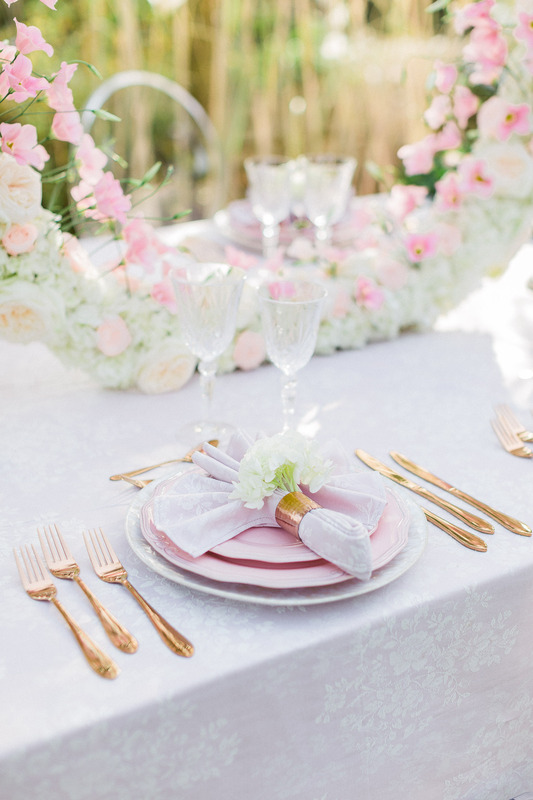 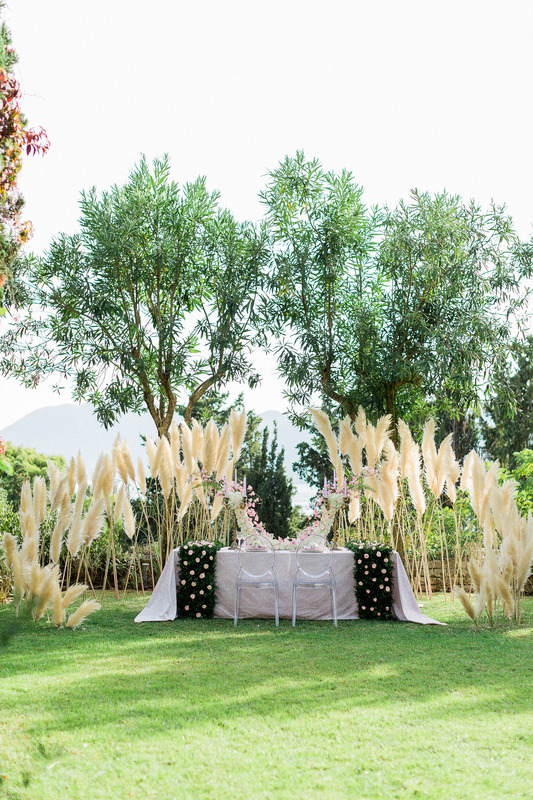 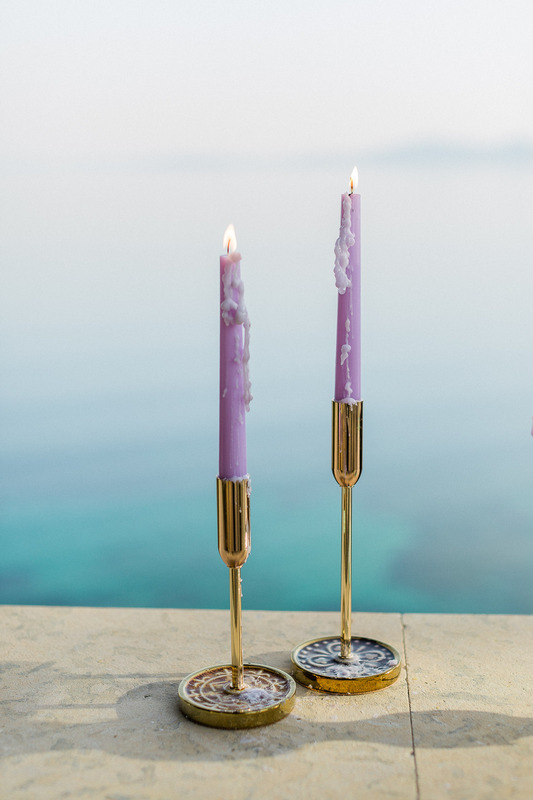 Damask silk linen, rose gold cutlery, crystal glassware and bronze candlesticks give prominence to hues of lilac and dusky pinks that add a touch of color to the airy Pampa grass crescent arrangements. 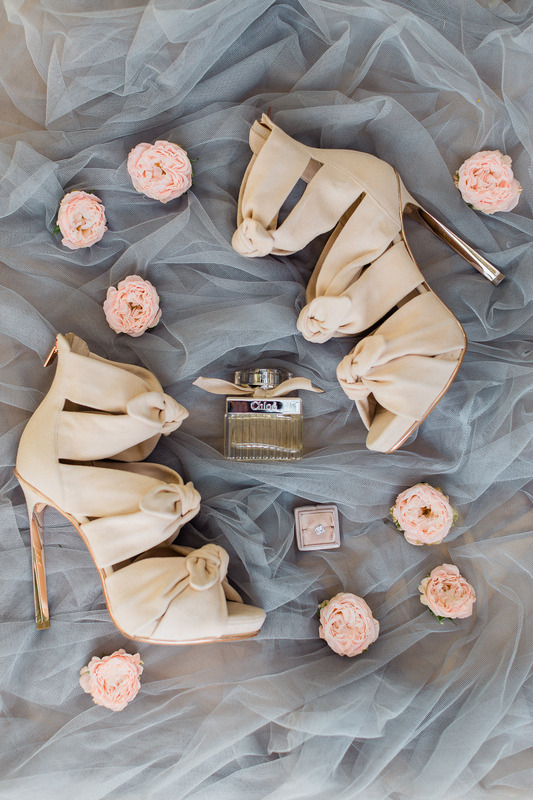 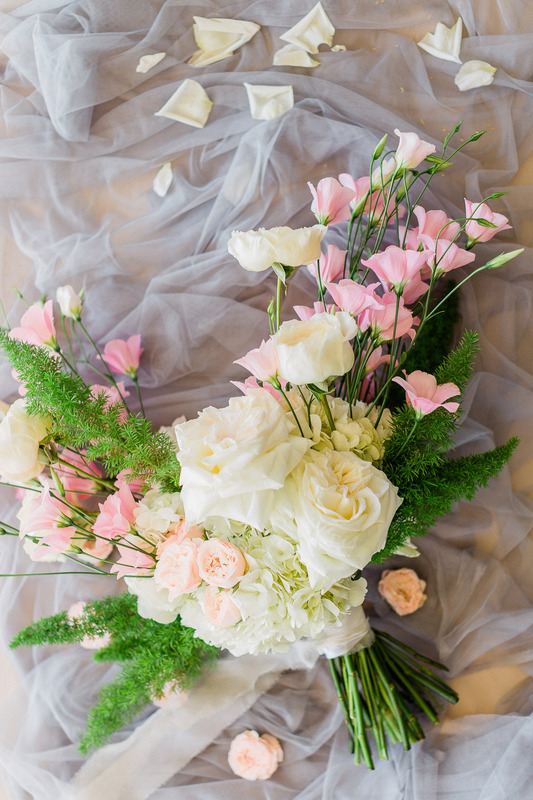 On the same tones, the elegant wedding bouquet in its elegance portrays the union of the couple. 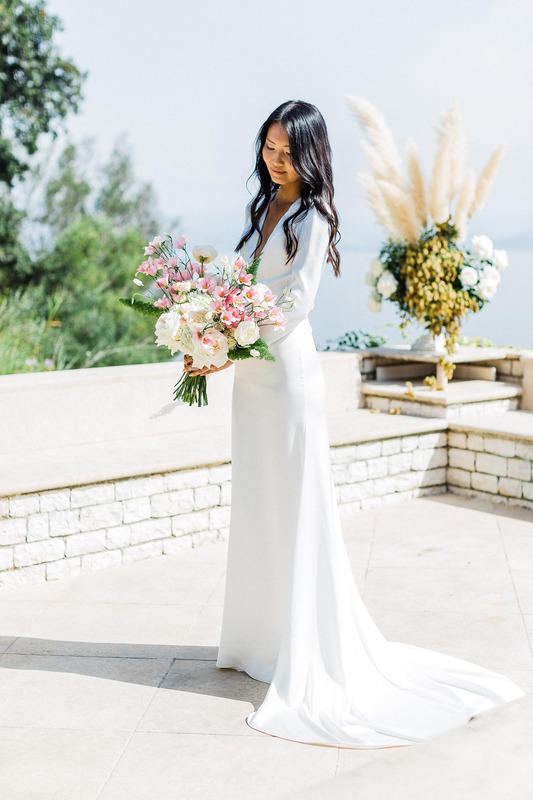 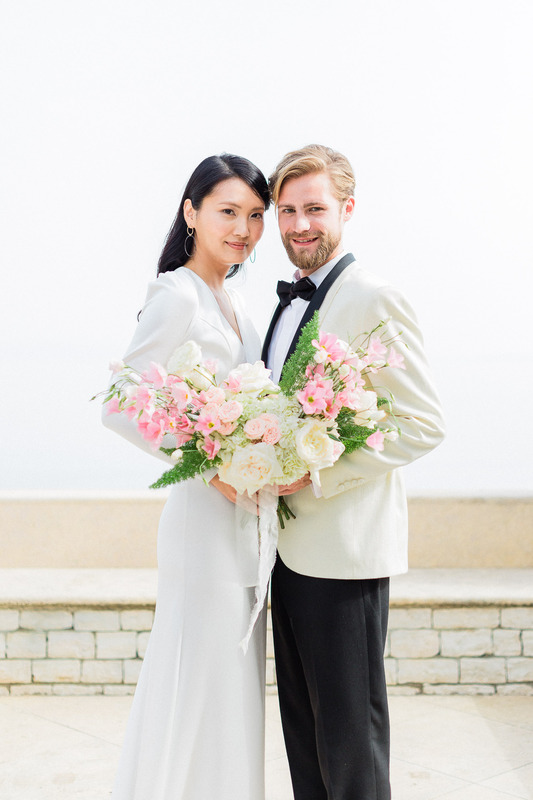 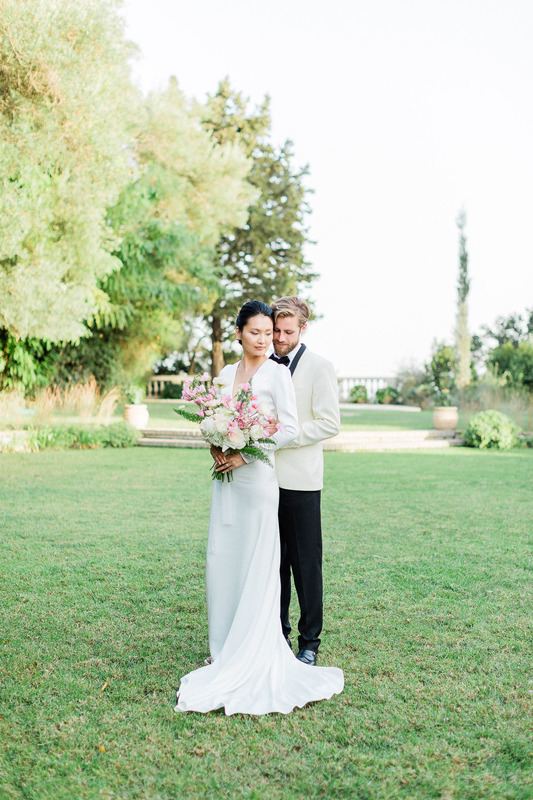 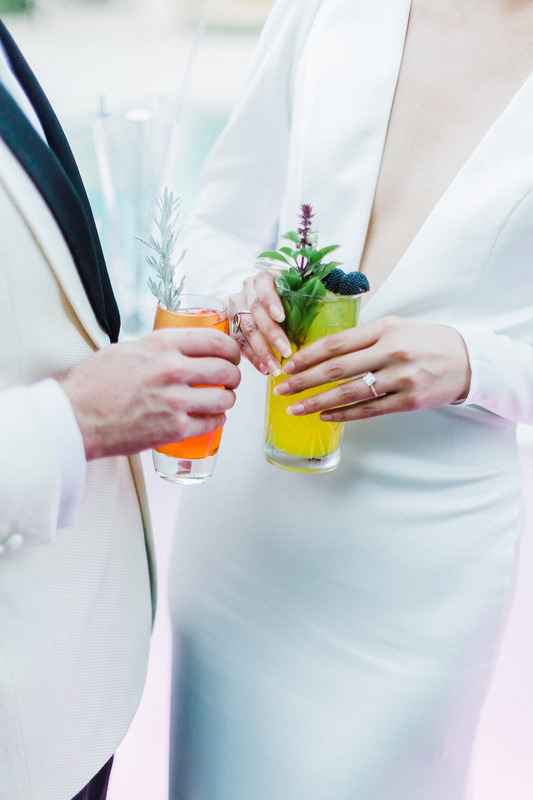 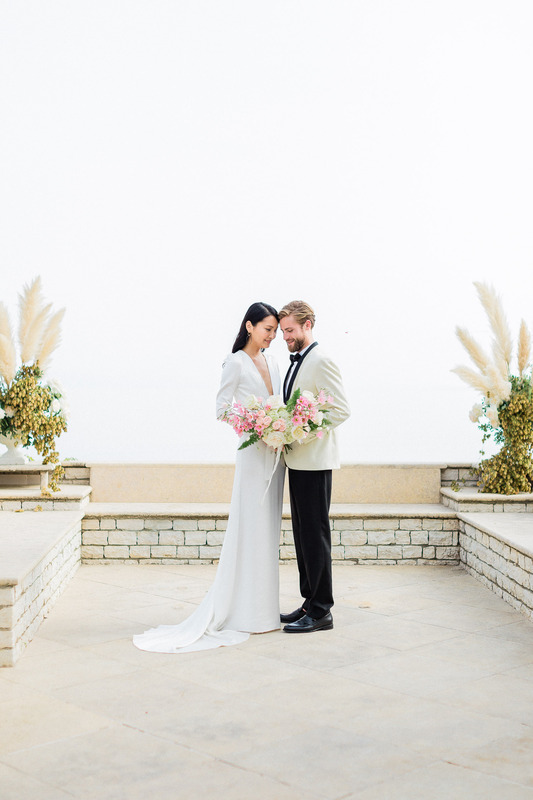 A long milky silk bespoke gown was tailored by Kamelia Andrioti and accentuated by a fresh, dewy make up look by Thalia that complimented the two effortlessly chic hairstyles of the bride. 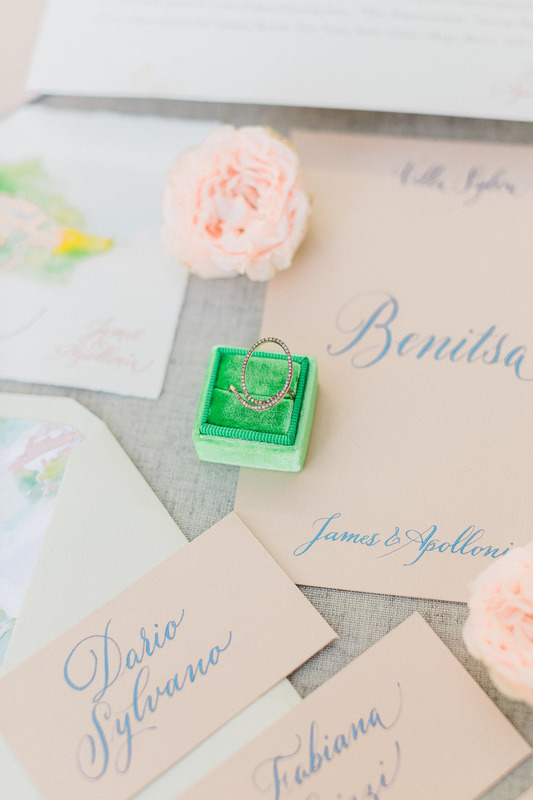 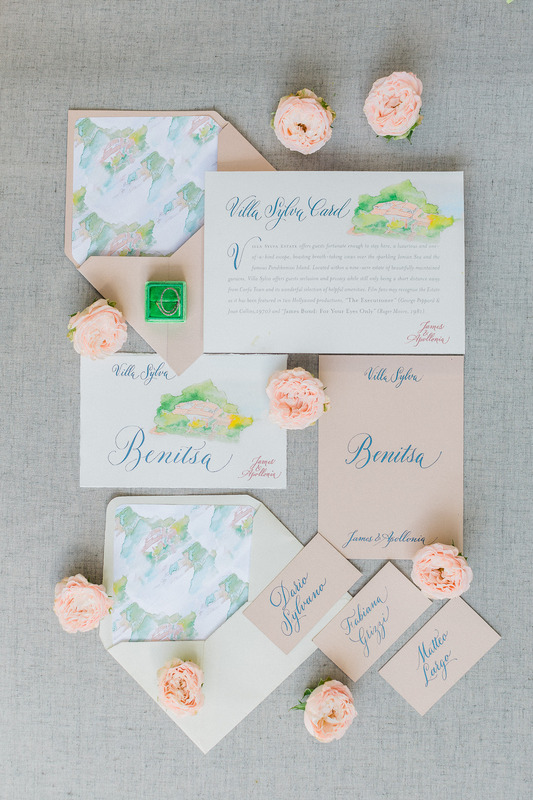 The watercolour invitations by Beautiful Letters are where the grandeur of venetian aesthetics meet the British elegance, while the bridal jewellery by Kousvelaris along with the smashing headpiece by the Elysian are fairytale touches that couldn’t possibly be overlooked. 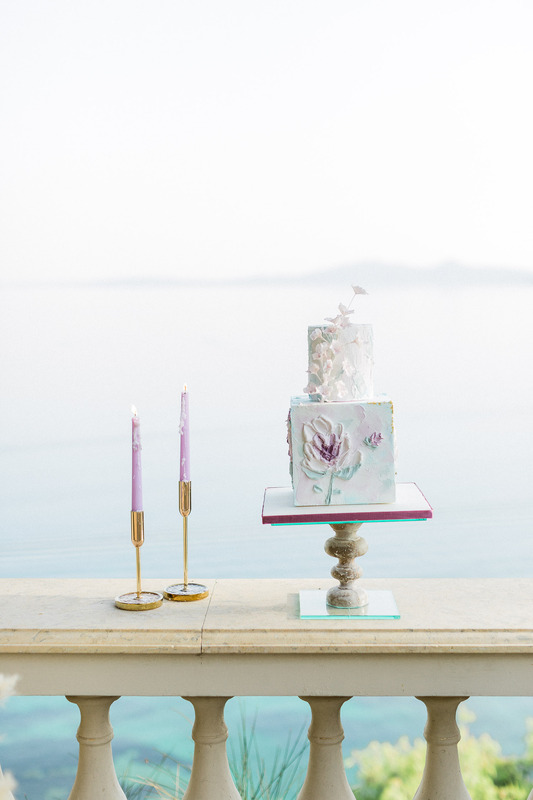 Lastly, a cake with that exquisite of an oil-painting with flowers in dreamy lilac and pink tunes could only be a creation by Cake Boutique Corfu.